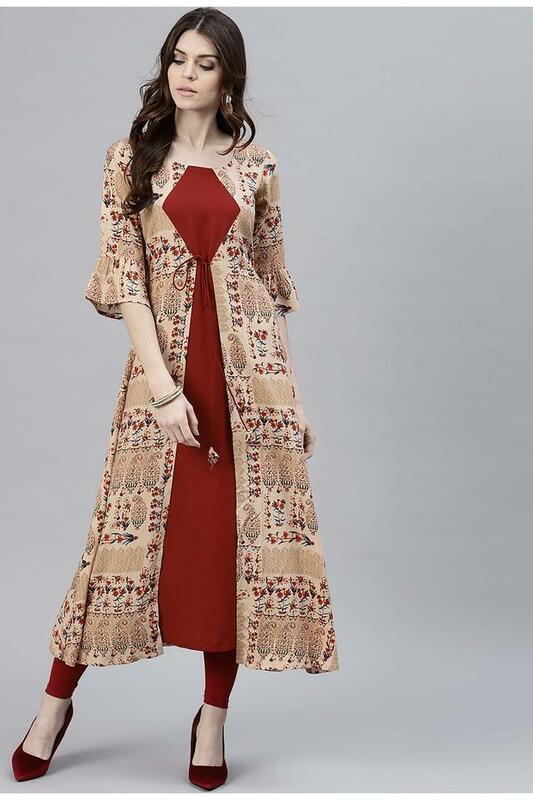 Enhance your clothing collection by adding this layered kurta from the house of Gerua. 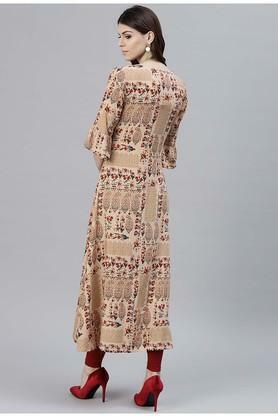 It features a printed pattern that makes it all the more fashionable. Besides, it is tailored with care using fine quality rayon, hence it is quite easy to maintain. Also, the round neck, it scores high on fashion metre. Be the trendsetter by wearing this layered kurta with a pair of palazzo pants and heeled sandals. 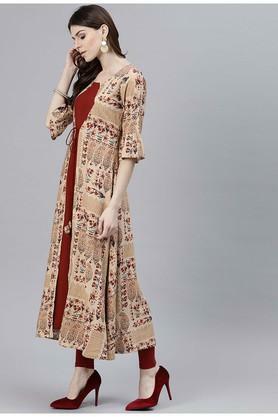 Made of good quality rayon, it can be worn for any casual occasion to stay at ease throughout the day.